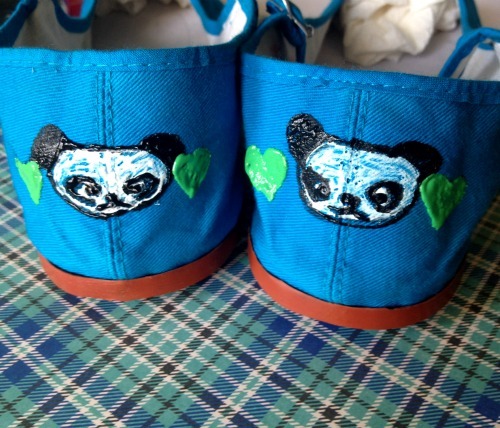 I love quirky and cute accessories, and I love how easy it is to personalize them with Tulip Fabric Markers and Fabric Paint. 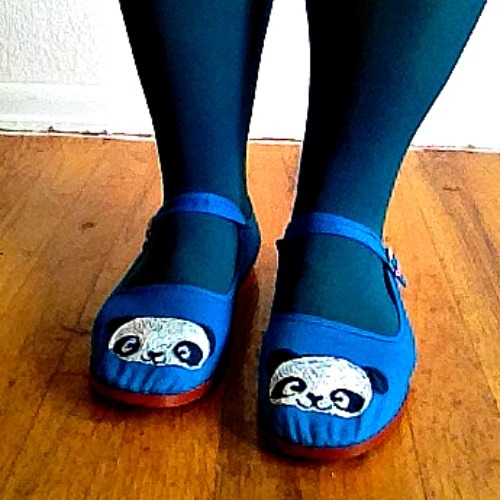 My son is a huge fan of pandas, so he inspired me to add some cute pandas to these inexpensive mary janes. 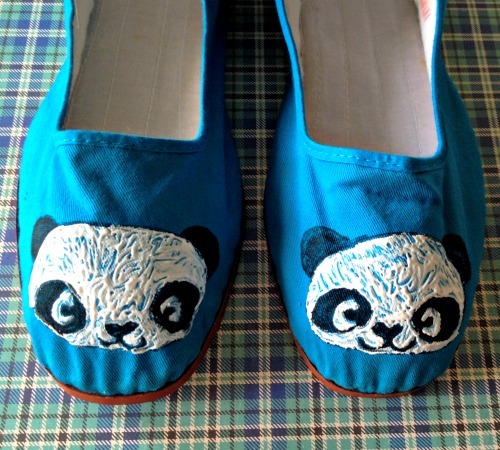 I found these blue China-style shoes on Amazon. They come in tons of colors, and cost less than $10. Before you begin, sketch out your drawing a couple times until you get a style you like. For the panda, I drew an oval, added ears to the top, then two circles for the black part of the eyes that were placed low and to the sides of the oval. Then I colored in part of the black circle and added pupils. A heart for a nose, and two curves coming out of the nose for the mouth. 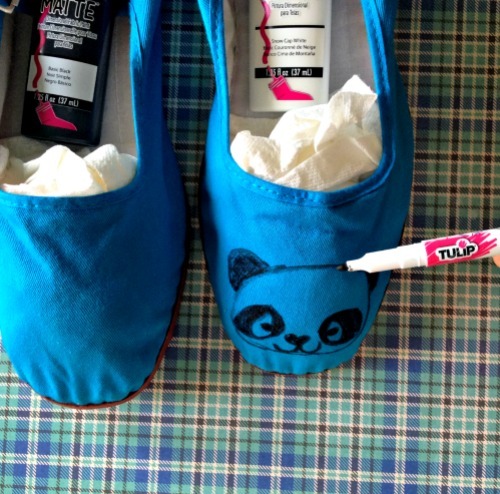 Stuff the shoes with paper towels or newspaper before you start, to stabilize the shoe and make an easy surface for drawing and painting. 1. 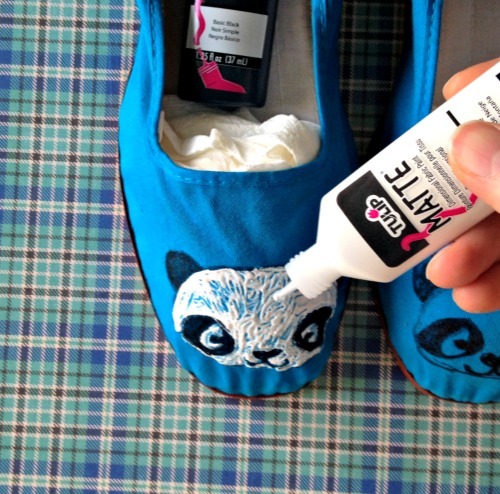 Draw pandas on the shoes with the black Tulip fabric marker. 2. Fill in the non-black areas with Tulip Matte Fabric paint in white. The tiny tip on the bottle really helps with the detail areas. 3. 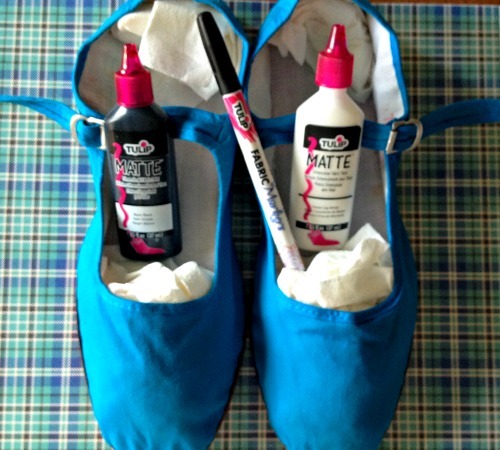 If desired, fill in the black areas with black fabric paint. Super cute! It took about five minutes per shoe. 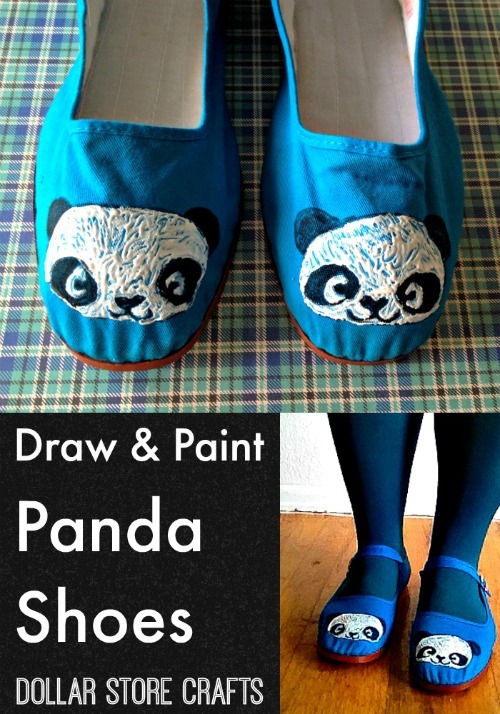 Let the paint dry according to package directions before you wear them!